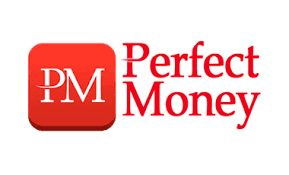 Perfect money is an online financial service provider. It is an online instant payment and fund transfer platform. It was established in 2008 and has being growing since then. Today, it is one of the most used online payment and fund transfer platform across the world. It has been translated to several languages across the globe and currently operates on two international currencies of USD and EUR. There are a number ways by which you can fund your perfect money account as authorized and provided by perfect money. In this piece we shall take a look at funding one’s perfect money account via MasterCard and other available means. It is important to note all the available funding means and the ones available to Nigerians. You can access this in your account. After you successfully log in to your account, navigate and click on Deposits and you will be provided with those options. Of all the deposit options, deposit by certified exchange partners is the most used in Nigeria. However, you can make use of the wire transfer as well if you operate an online account. Simply get SWIFT/IBAN details of your account and make the transactions. Moment bank transfer is only available to users in countries like Germany, Austria, Belgium and Switzerland. When you want to fund through Visa Card or MasterCard debit/Visas, select it after clicking on certified exchange partners. After then, you can choose the MasterCard as your deposit option before proceeding to input details of your card and then make deposit. You can as well make deposits via other e-monetary forms such as bitcoin, PayPal, liberty reserve etc. Simply do this via the e-monetary form account and make your transfer and if you are doing this by a third party, such person will simply transfer to your perfect money account and it will be credited. For deposits via western union or money gram. Simply log on to their website or at any of the agents close by, fill a form for the transaction and hand over the cash or pay via your card or account in the case online process and the fund will be transferred to your perfect money account. With these details, you can fund your perfect money account with any of the options explained above. Please note that you may as well withdraw via some of the options discussed above. Enjoy your perfect money account!